For some time now, DMS Holland has also been offering second hand stabilisations systems for those clients looking for a more cost effective solution than a brand new system. “Due to the high sales of our MagnusMaster stabilisers, it is common for us to be replacing older stabilisation systems on vessels. In some cases, we even trade in the current system. These previously used systems are then made available, where possible, to those customers looking for such a solution as second-hand systems. 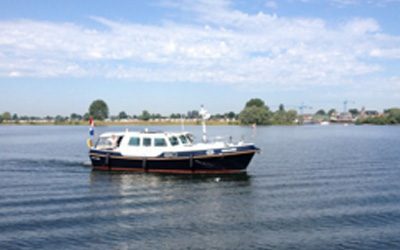 Last week we delivered a second hand 1 rotor system to the owner of MY Temasek, a Kuster 38, who was not only very happy with the stabilisers, but also with the great deal he received, “says Patrick Noor. DMS Holland will soon have second-hand systems available in stock.